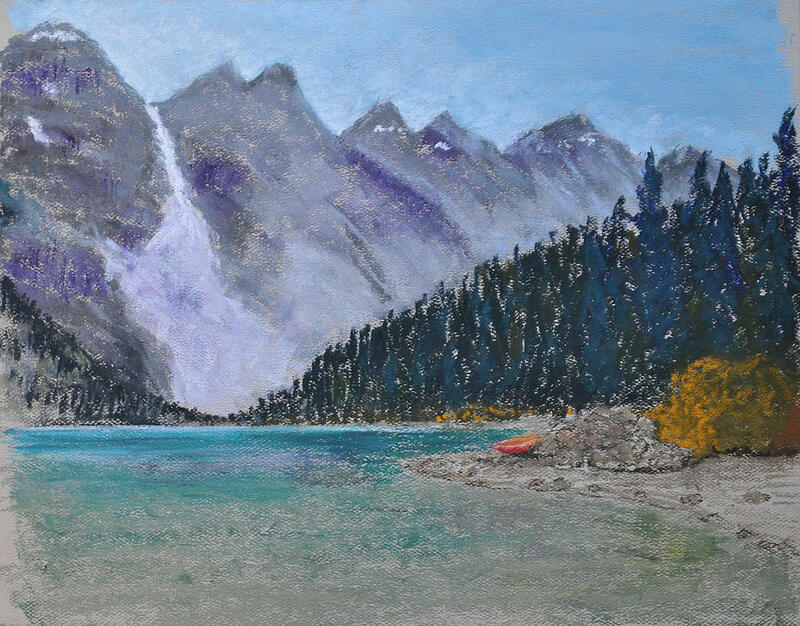 Lake Louise is a pastel by Marina Garrison which was uploaded on December 8th, 2013. This original pastel is currently for sale. At the present time, originals are not offered for sale through the Fine Art America secure checkout system. Please contact the artist directly to inquire about purchasing this original. I was inspired to paint this after a visit to Lake Louise. Rather than painting the same scene you see in all the photos, I decided to hone in on the red canoe left on the beach. There are no comments for Lake Louise. Click here to post the first comment.